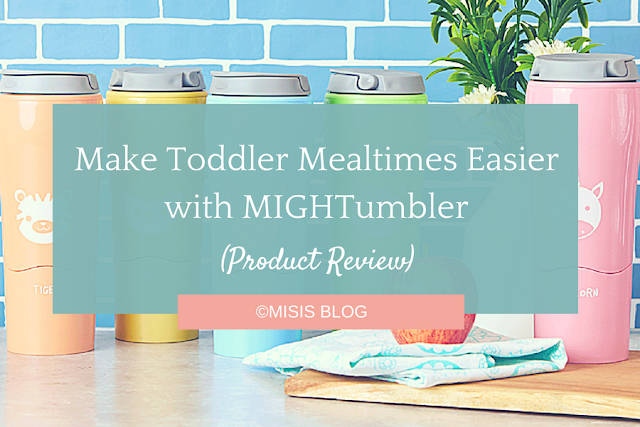 Mealtimes aren't exactly my favorite part of babycare, much more when caring for a toddler. You have to make sure your little one is in the perfect mood to eat, lest you encounter tantrums and flying eating utensils. My one-year-old daughter sometimes throws things when she's eating, either because of a tantrum or because she's just having fun. Often, she simply accidentally knocks over her eating utensils, particularly her drinking cup. Either way, it's not always fun to clean up after her. Which is why I've been on the lookout for a baby-proof tumbler—something that isn't easily knocked over and spilled. 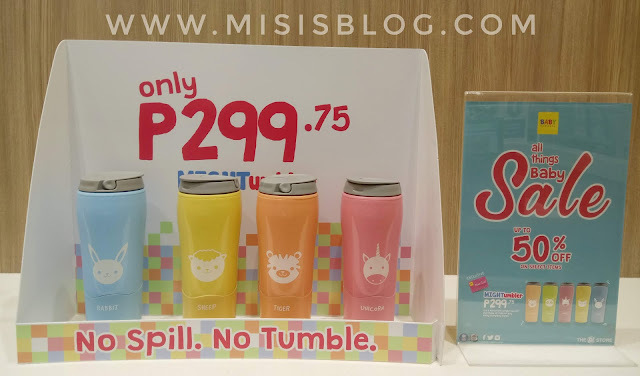 I found my godsend through Baby Company's All Things Baby Sale special offer for Mom Card holders: the no-spill MIGHTumbler. The MIGHTumbler has five fun designs to choose from, each with dainty pastel colors perfect for babies and toddlers, with cute animal prints to spark your young one's imagination. We bought the baby blue bunny MIGHTumbler—because our little girl loves bunnies and so that the tumbler can be used by her future siblings! 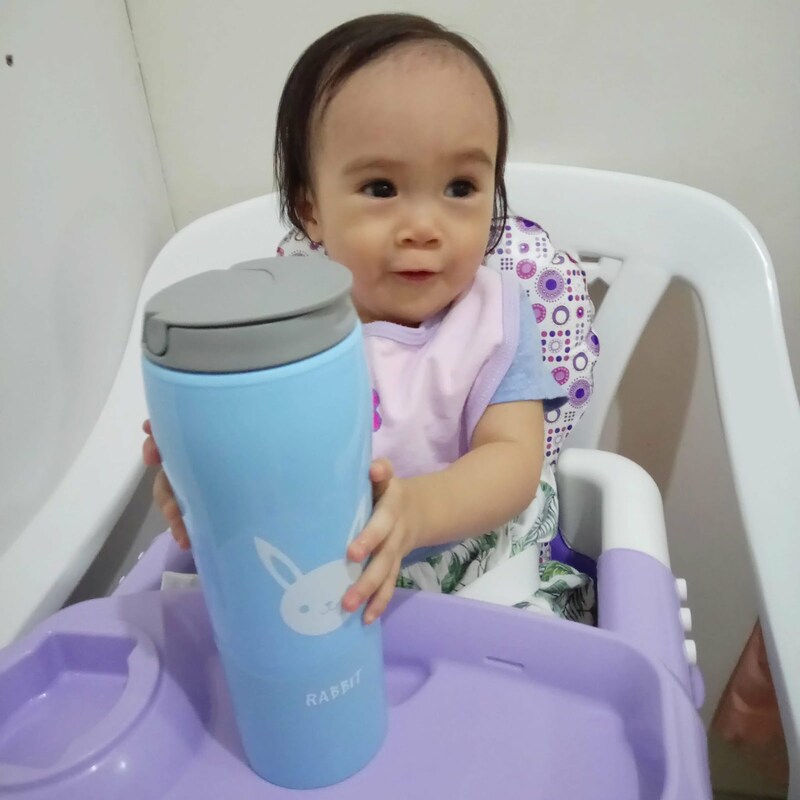 Seems like she's so excited to try her new tumbler! Let's see if she can really knock this over. The tumbler is made of sturdy and lightweight plastic material (which is BPA-free!). What makes it unique is that it has a suctioned bottom so that it's not easily tumbled when accidentally knocked over. The lid is air-tight, keeping it away from spills. It's also ideal for on-the-go moms and babies, as it can hold up to approximately 500 mL of liquids, keeping you fresh and hydrated when you go out for a stroll. The size of the tumbler, however, was bigger than I expected. Nevertheless, it can still fit snugly into your diaper bag (or a large handbag). Here are the available designs at the Baby Company Boutique at SM Seaside Cebu. They don't have the lime green panda, but they will probably restock soon! The MIGHTumbler is an exclusive offer to all Mom Card holders as part of Baby Company's #AllThingsBabySale. It's available at an affordable price of P299.75 with every P500 single-receipt spend from Baby Company. The promo runs from July 1 to 31, 2018. 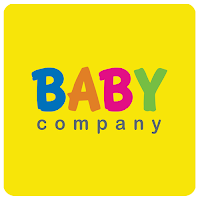 Mom Tip: If you don't have a Mom Card yet, you can get it for only P100 at any Baby Company branch, either at their stand-alone boutique or inside the SM Department Store. Just fill up the application form, and you can get your card in just a few minutes on the same day.